Being competitive is a bad thing, right? I'm about to say something that will seem to go against the beliefs of many dog agility competitors. At first blush, it will even appear controversial. 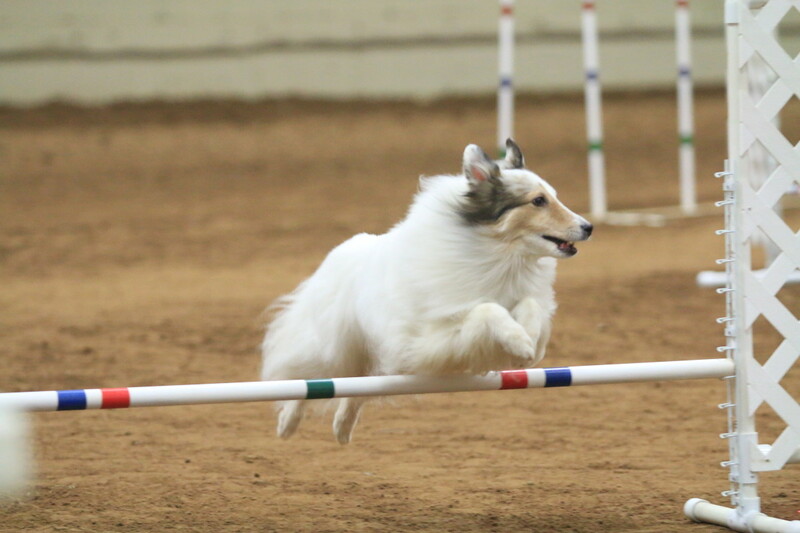 Having a competitive attitude in agility is a good thing. Whoa!! Really? Asking a dog to be pushed day after day beyond it's physical abilities to "win" a class, to "win" at Nationals or Worlds is a GOOD thing? Being rude to other competitors in order to play "head games" to get a "foot up" on the competition is a GOOD thing? To grouse around and be mean to your dog after a bad run is a GOOD thing? Heavens no!! That would be poor sportsmanship and lousy dog ownership. Perhaps we need to define what "competitive" means in this context, and perhaps we need to define what the opposite of "competitive" means, too. What fuels your fire and keeps you hungry in the sport of agility? Finding and understanding how we are motivated in the sport will not only keep us from burning out, it will make the sport more fun. Take a moment and think of your dreams - not your goals which are things you have control over - but your dreams. 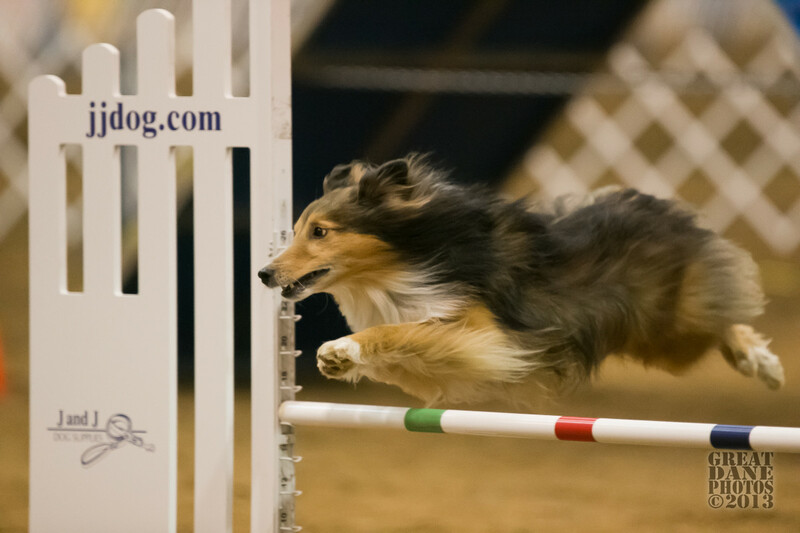 When you lie in bed at night thinking about you, your dog and agility, do you see yourself laying that Novice title ribbon on your dog's crate with a feeling of joy and pride? Do you see yourself running a victory lap with a Championship bar and your best bud? Do you see yourself walking to the start line at Worlds with your most trusted companion staring faithfully up at you? Remember, not any one dream is better than the other. When you find your dream, what are the steps you need to take to work toward reaching it? Think of these steps as the odds and stats you must compete against to help you reach your dream. These are the tiny details you must conquer one at a time to reach your agility perfection. These are your competitors. So dream. Dream big. Dream often. And stay hungry. Being competitive has nothing to do with winning. It has to do with working hard to achieve goals and dreams. I've seen very "competitive" teams that hardly ever got into the placement ribbons, yet they were hugely successful. I've seen "competitive" teams earn only Novice titles, yet they were also highly successful. Good agility teams don't compete against other teams. They compete against their own limiting statistics. Competition is two or more entities going head to head in a tested battle. No one said those entities had to be living entities, and no one said that competitive teams only competed at the top levels of a sport. In my mind, my dogs and I are competitive. Very competitive. We are competitive against the course, against the odds that affect us as a team, and against the stats which I choose to compete against. 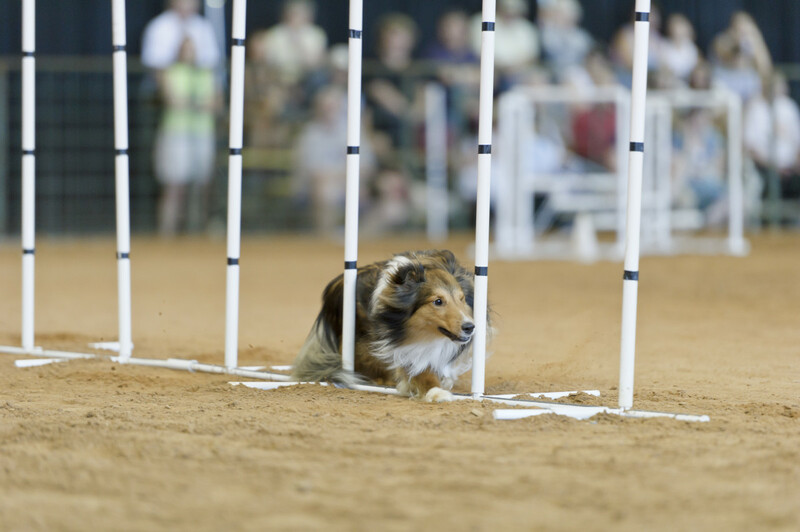 These odds and statistics vary as we go throughout our agility careers. In the beginning, we may be competitive against something as simple as the pause table. We train it with passion and consistency to get a table performance in the ring that mimics what we have at home. We work hard day after day, feeding meals on it, working different methods on it, playing on it, till we have conquered it. Then, in the ring, we compete against the table, and over time, we achieve success as the table issue falls to the wayside. However, as good as that feels temporarily, soon - and very soon - another competitor roars loudly to be defeated. Maybe the new competitor is slow yards per second, maybe it's a physical limitation, or maybe it's a title. Regardless, the competition again becomes fierce. The opposite of being competitive is often described in our sport as being laid back. I hear people say they love one venue over another because it's more "laid back," and I suppose there are different definitions of laid back just as there would be of competitive. However the type of laid back I don't care for is where "laid back" means taking an unprepared dog into the ring because the handler didn't practice. 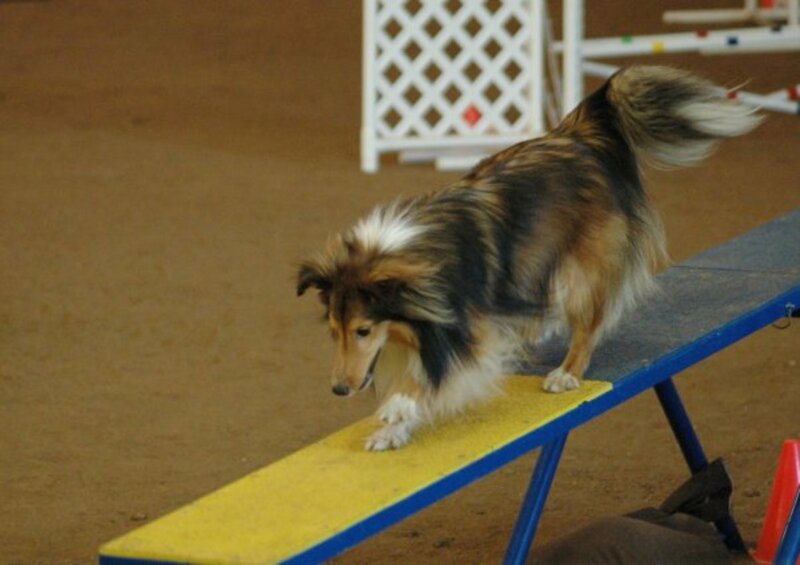 Where "laid back" means not training agility behaviors properly and safely, or attention to safety is ignored at the trial by the hosting club or venue because everyone is too busy being relaxed. 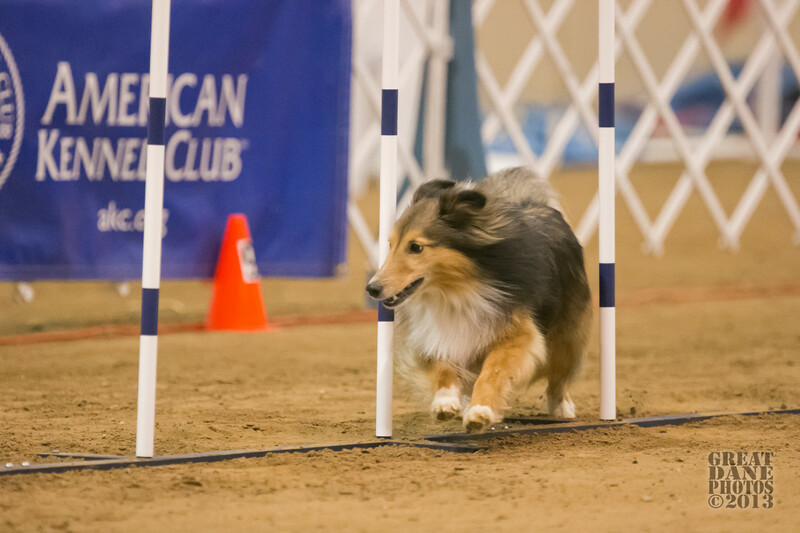 Agility does require a large amount of dedicated training and strict attention to detail in order for the dogs to compete safely, if not successfully. While accidents can happen to even the best trained agility dog, being "laid back" can be a very dangerous thing to the canine side of the partnership. I've also heard people say being "laid back" is more fun than being "competitive." I suspect that may be determined completely upon personality. When I become passionate about something, I'm not happy doing it half way or just dabbling in it. I want to do it right. I want to achieve my definition of success. I want to be competitive. Not because I want to beat everyone else, but because being competitive is how I have fun. I find being "laid back" about something to be mildly amusing at best. Being competitive - now there's where the fun is. What odds or stats is your team currently competing against? 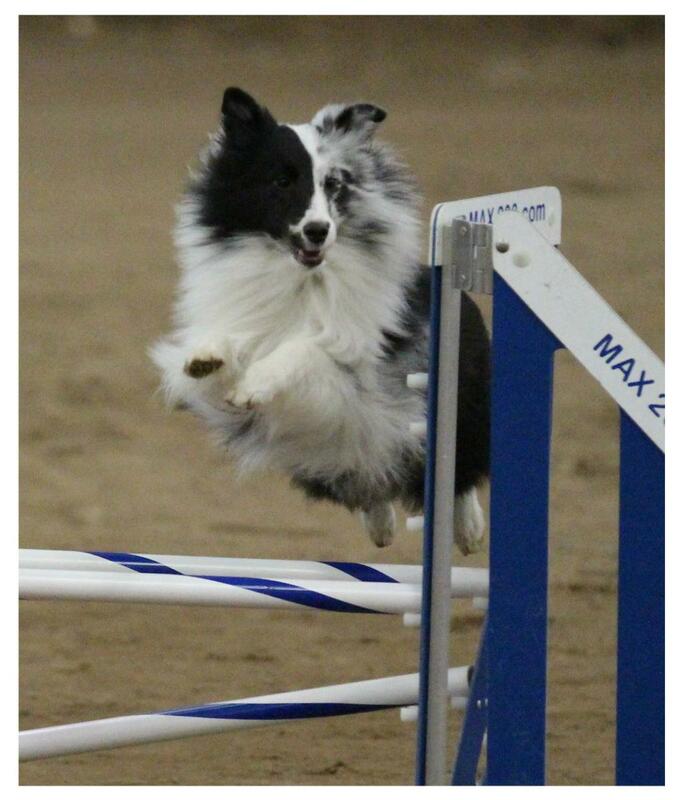 Early in my agility career, I learned that trying to compete to "win" against another team or class was not fun. The emotions of the moment - whether in winning or losing - would well up, and I didn't like what I was seeing in myself. I watched other competitive teams I admired to see how they handled these negative feelings of competition, and quickly realized they weren't competing against other teams at all. They were competing against odds and stats and because of that, they were even able to cheer for their fellow competitors. One wanted to get a faster contact in the ring. Another wanted tighter turns. Still another wanted to get her cues out in a timely manner. But none of them wanted to beat another dog or handler. If they reached their goal in the ring, they were successful, but their enemy wasn't the other teams in their class. It was a better behavior, a better statistic - and they were highly competitive. But till then tramps like us, baby we were born to run." I have discovered that I will only for brief moments "walk in the sun" in agility. As each of our competitor "odds and stats" are defeated, I will enjoy the moment, but because for me agility is most fun at it's most competitive, I will immediately begin searching for the next foe. The sun will again go behind the cloud as Asher and I begin to work on some new, menacing behavior or title. 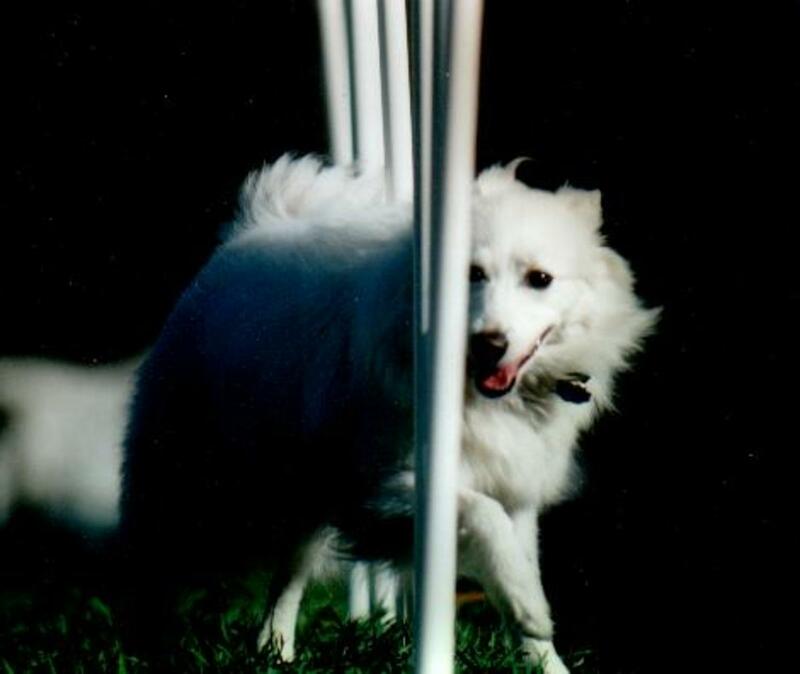 We will work hard as a team to beat this agility monster, and once again, for a brief time, we will walk in the sun. And again shortly after a new monster will appear on the horizon, and the pattern will repeat itself until Asher is retired from the sport. I believe that staying hungry this way keeps passion for a sport alive. Being competitive against the monsters of odds and stats that keep us from the agility perfection we seek helps keep our stomachs empty. It keeps the sun from shining too long. It keeps us motivated to become better and better. This momentous task of improvement for sport's sake seeps into other parts of our lives, improving us there too. It leaves us healthier, happier people, and competition done correctly leaves our dog healthier and happier too. Until my stomach is full and the sun always shines, you can see Asher and I in the agility practice field or in the agility ring. Because tramps like us, baby we were born to compete. Thanks Eddy and wetnosedogs!! I appreciate you two dropping in to read my blog-like-article. :) Yep. 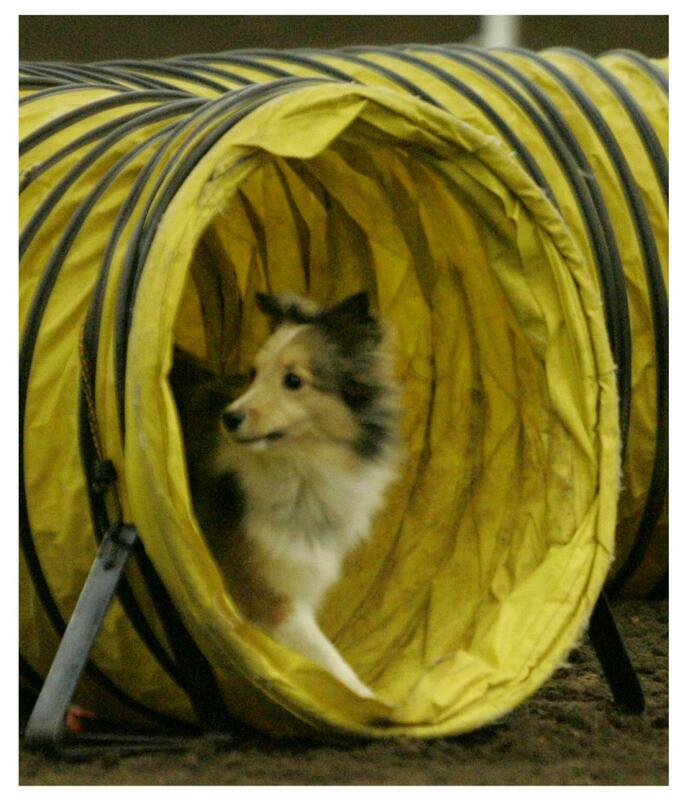 The dogs LIVE for their agility!! You and Asher have the right attitude for your course in life. Great job. 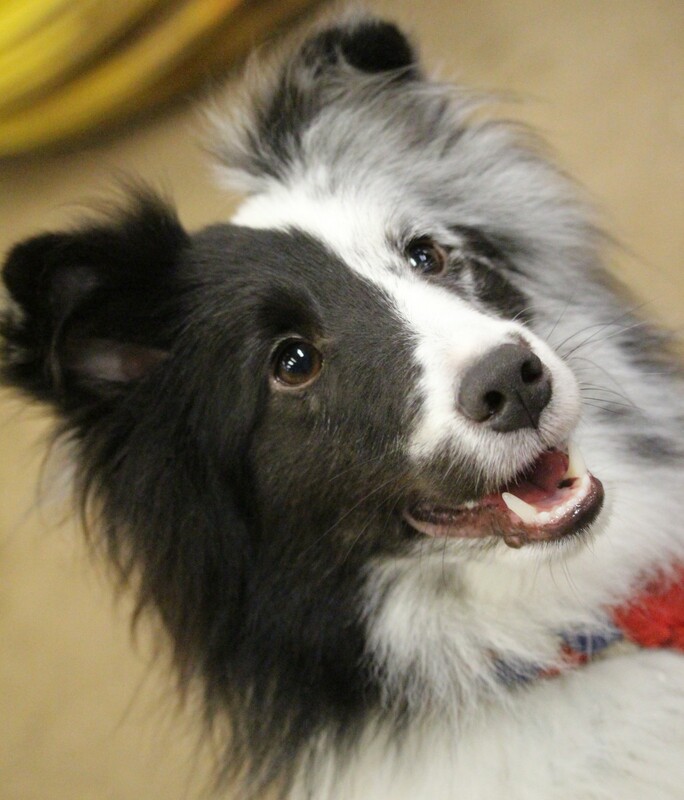 What a wonderful read on an event that dogs love taking part in and hey always look so happy. I vote this gem up,across and share .